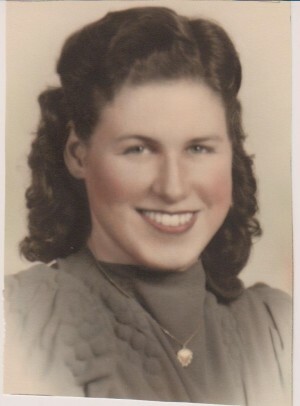 Katherine Brooks, 89; of Fulton died Friday, November 19th at Michaud Residential Health Services, Fulton. She was born in Fulton to the late James and Anna (Kuster) Murphy. Mrs. Brooks remained a life resident of Fulton. She was past employed with the Fulton Woolen Mill, and she was a waitress with Lakeview Lanes, Fulton. She was a past communicant of Holy Family Church. Mrs. Brooks was a member of the Ladies of the Ancient Hibernian, the Elk’s Lodge #830 Ladies Auxiliary. She was also a member of Catholic Daughters Court Pere LeMoyne #833, and the Moose Lodge #1390 Ladies Auxiliary. She was pre-deceased by her husband Arvin Brooks, two sisters: Margaret Casey and Rosemary Tubalino, and two brothers John Murphy, and William Murphy. Mrs. Brooks is survived by her daughter Lorraine (Paul DaCorta) Woodridge of Fulton, sisters: Helen Lyons of Auburn, NY Madalyn Harris of Minetto, NY and Lorretta Dehm of Oswego, NY 2 granddaughters: Jennifer Callen and Elizabeth Crissy, 6 great grandchildren and several nieces and nephews. Funeral Services will be conducted 9:00 AM Monday in Sugar Funeral Home, Inc., and 9:30 AM in Holy Trinity Church, Fulton where a mass of Christian Burial will be celebrated by Rev. Stephen Wirkes. Burial will be in St. Mary’s Cemetery, Fulton. Calling hours will be held 2:00 to 4:00 PM Sunday at the Sugar Funeral Home, Inc., 224 W. 2nd St. S. Fulton, NY.